North Sky Kung Fu is a center for Chinese martial arts, dedicated to sharing the powerful art of "Shaolin Eagle Claw" and all its applications. 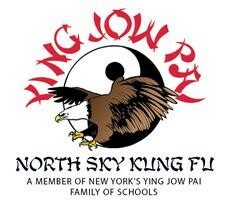 North Sky Kung Fu teaches Kung Fu and self-defense as well as centering practices like Tai Chi and Chi Kung. Kung Fu and other Chinese martial arts are meant to provide a lifetime of health, and can be practiced at any level and any age. North Sky's instructors have years of experience in professional competition and fighting, as well as a commitment to sharing their art. They look at Kung Fu's application for personal security, as well as a tool to stay centered and fit. North Sky Kung Fu's classes offer give beginners a taste of Kung Fu and Tai Chi. In every class, you'll find good energy, great workouts, and a great martial art vibe. Julie was super nice and welcoming! So were the other ppl in the class who were regulars. I was the only beginner but we still went over enough basics and techniques where I felt like both me and the regulars got something out of it. The structure was good. Slight warm up and then focus on form and technique, practicing them on partners. Will def come back!